The Sky’s the Limit for Downtown Atlanta! Thank you to Central Atlanta Progress (CAP) for selecting Resource to create an ad for the November issue of Delta’s Sky Magazine. The issue features an extensive 75-page profile of Atlanta covering everything from the city’s top companies and neighborhoods to education and healthcare. 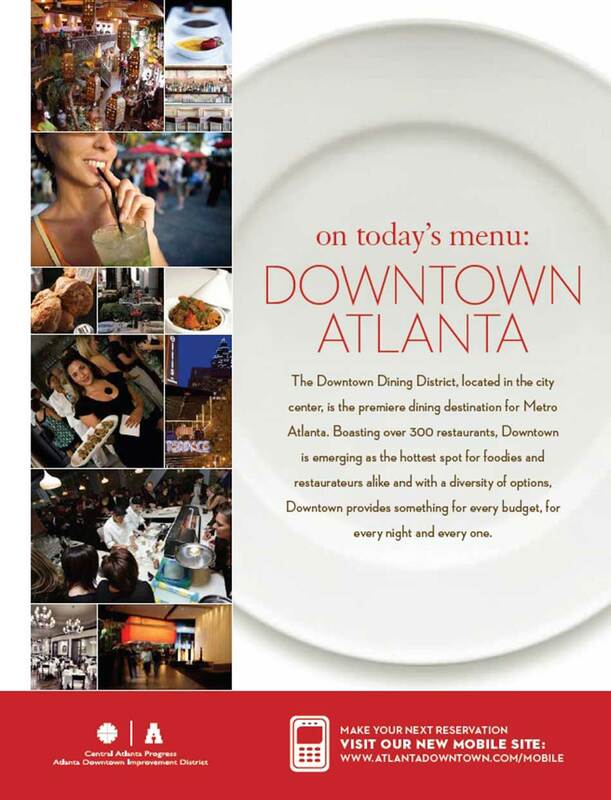 CAP wanted their ad to focus specifically on the success of The Downtown Dining District, which now boasts over 300 restaurants. Cheers to downtown dining!